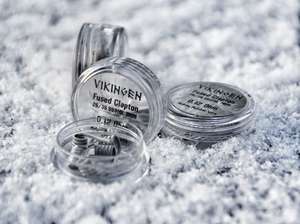 Vikingen Coils are made from Swedish high quality metals from Sandviken and milled in USA by Kidney Puncher in to wire. So far Kidney Puncher have the best milling process on the planet. Here at Vikingen we are proud that we hand make all our products. Vikingen strive to provide you with best possible product from best possible material and skill.